Proud of the workplace you've built? Apply today and let Inc. tell the world. Get recognition for the workplace you've created. Great entrepreneurs don't just build great products and services. They also build great workplaces. Apply today for Inc.'s Best Workplaces award, uniquely designed to recognize successful small- and mid-sized businesses that value company culture, offer standout worker benefits, and prioritize employee well-being. Take this opportunity to be recognized as a place where people love to work, and apply today. All applicants will receive a valuable company overview offering actionable insights on your workplace strengths and weaknesses. 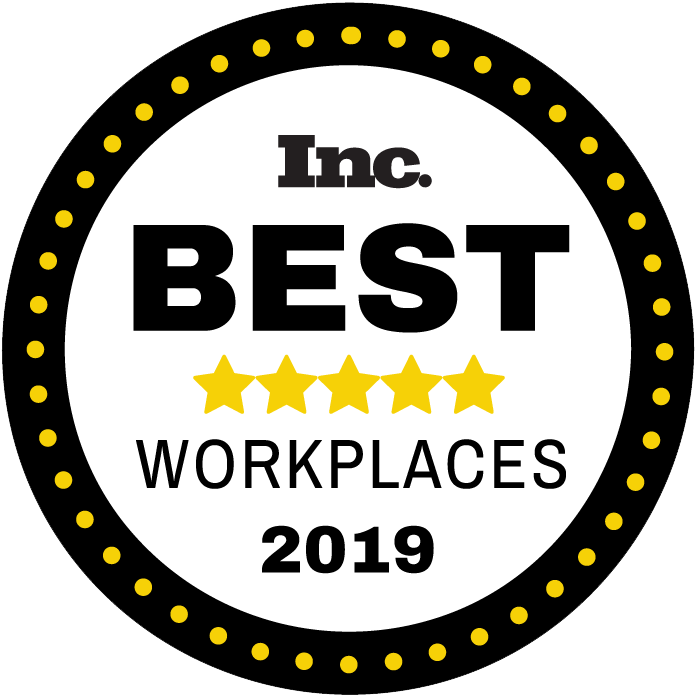 If you're proud of the workplace you've created, take a few minutes to apply and let Inc. Magazine declare your company one of the best places to work in America. There are a few limited exceptions to the requirements. Please email our team with any questions: bestworkplaces@inc.com. For nearly 40 years, Inc. magazine has been devoted to recognizing America's most dynamic businesses and honoring the great things they do. Last year, nearly 250 companies made the cut and were honored in print or online. National Recognition: Be honored as an employer of choice, and elevate your firm's employer brand. Visibility & Media Exposure: Be featured in the June issue of Inc. Magazine, get a dedicated company profile on Inc.com, and receive national and local coverage from the likes of Yahoo! Finance and Businesswire. Greater Productivity: Drive engagement and enthusiasm of current employees while sending a clear message that the culture of your company is a primary strategic priority. Improve recruiting opportunities with prospective employees. Invaluable Insights: Learn what your employees are really thinking with a company overview filled with valuable information you can use to improve your day-to-day operations and workplace environment. One-Year Subscription: As part of your application you will receive a one-year subscription to Inc. magazine, the leading business publication with news, tools, and advice to help you succeed. Take your first step towards recognition and towards receiving invaluable insights on how you can make your workplace even better. You can apply here. (Extended) Final Application Deadline: February 22, 2019. Your employees will respond to the Best Places to Work survey. The number of employees that respond to the survey, along with an audit of the organization's benefits, are used to determine the company's overall score and ranking. Survey deadline: March 12, 2019. The list goes live on Inc.com early June and in the June print issue. All applicants will be notified via email in mid-May if they have made the list or not. All applicants will also receive a customized company culture snapshot report, based on employee feedback. For full application details see our FAQs here. Questions? Email us at bestworkplaces@inc.com.